Congratulations Gosford Gymnastics on you award presented at the 2013 Awards dinner on the weekend. 2013 Kindergym Coach of the Year. Come and try a class with our fantastic Kindergym crew. Just phone for a booking on 436 55545. 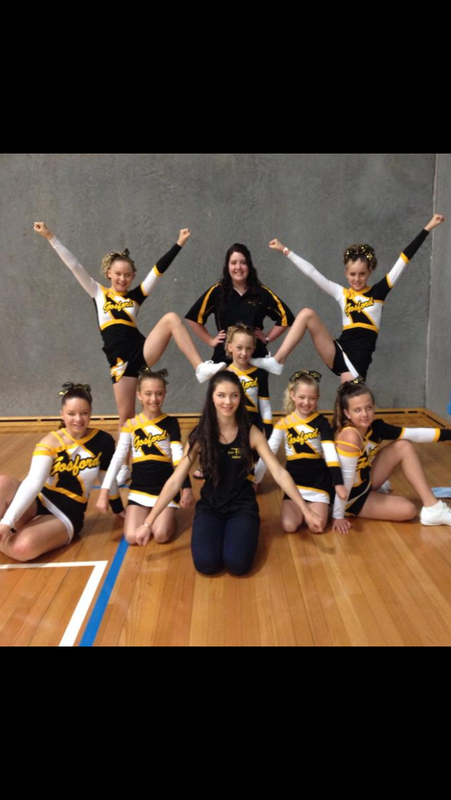 This year the Festival of Gymnastics was held on the weekend at SGAC at Rooty Hill. The girls did 4 fantastic displays and won 4 amazing awards for their efforts. Congrats girls on a great day of performances. WOW – what a fantastic morning of Kindergym we had on Sunday. The theme was “Once Upon a Time” and Gosford Gymnastics chose “Hansel & Gretel” as our contribution to the circuit. Our coaches dressed up as witches and our house made of lollies was a great hit. Below are some pics of the day. Why not come along for a trial session. We are running a trial class each Wednesday evening 7pm to 9pm for Seniors and Thursdays 4pm to 7pm for our Juniors. All Welcome. What a great result girls. Now you are ALL off to State Championships!! We are very proud of you. Sunday 7th July the Level 1 State Stream Gymnasts competed at the KWK Invitational Competition. Here is a pic of the girls with their coach Alana.